Is it snowing in Mayrhofen ?Thank you! 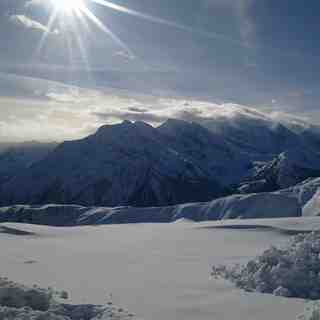 Pistes for heros, peaks for leisure lovers and igloos for adventures; from action to enchantment. 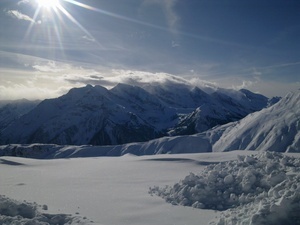 In Mayrhofen the winter shows its full range of capabilities. With its exceptional variety and outstanding new features, Mayrhofen is excellently prepared to start the 2015/16 winter season. Once again, this extensive skiing area with its 136 piste kilometres and 57 lifts leaves nothing to be desired. Two fascinating extremes are situated right on the doorstep: Action Mountain Penken and Leisure Mountain Ahorn. Penken offers highlights such as the Harakiri, Austria's steepest slope adventure and the Penken Park with its cool areas and obstacles. On Ahorn, guests can discover numerous insider tips: Café-Bistro Freiraum with its breathtaking location, the family-friendly pistes, the sun-drenched Ahorn Plateau and the White Lounge complete with Ice Bar and Igloo Hotel. This year winter starts off with a particularly spectacular opening of the world's most state-of-the-art cable car and the legendary sports event RISE&FALL (involving 60 teams of four battling it out in a tough contest that features the disciplines of ski touring, paragliding, mountain biking as well as skiing or snowboarding). A superb range of activities and services guarantee unlimited fun in the snow. The Penkenbahn has cutting-edge technology, it shows just how much fun it can be to ride a cable car in this day and age: 33 gondolas, each comprising 24 comfortable seats and wi-fi, convenient child-friendly access and above all an unusually high capacity of up to 3,840 people per hour on the downward run. 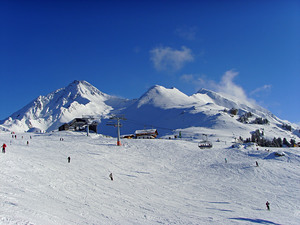 Guests arrive on the Penken right at the heart of the skiing area in barely more than eight minutes. The cable car is a key step towards a mountain experience that is entirely free of stress. 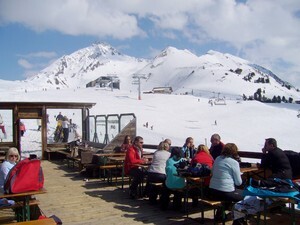 There are spacious ski depots at the bottom station and cable car station. The ski bus network has also been optimised to make it more convenient to get to the piste and back. Skiing and snowboarding in Mayrhofen is all about optimum flexibility. 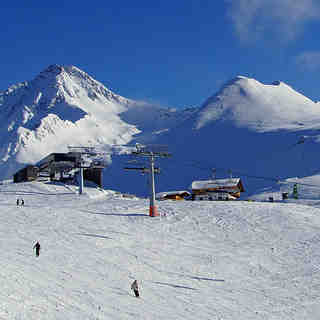 The bottom station at the heart of the town enables guests to go for a stroll, do some shopping or get a cup of coffee before spontaneously picking up their sports equipment from the depot, spending a few hours on the pistes and then heading back down to the village to meet up with friends for an après-ski session. The cable car brings a whole new level of excitement to Action Mountain Penken. It's now just a few minutes from the bustling centre of Mayrhofen to the coolest challenge in winter sports: the famous Harakiri; an absolutely perfect thrill with its 78% gradient. Anyone able to handle the descent gets to wear the "I survived Harakiri" T-shirt and stake their claim to eternal fame at the free photo shoot every Friday from 1 pm to 3 pm. The second highlight on the Penken is the Penken Park; one of the best and most sought-after snow parks in the whole of Europe with its eight different areas and numerous obstacles (Pro Area, Advanced Area, Advanced Jib Area, Medium Area, Medium Jib Area, Fun Area, Beginner Area und Penken Fun Ride). Here beginners can take their time to practice in the Kids Park while pros perform their impressive tricks. Photo shoots are held here every Tuesday and Saturday from 1 pm to 3 pm. Pictures can then be downloaded free of charge from the online shop. For many people it's love at second sight. Apparently unimposing at first as compared to the big 3,000-metre mountains in the background, it has astonishing qualities nonetheless. Leisure Mountain Ahorn is an absolute insider's tip. To get there from Mayrhofen you take the Ahornbahn; Austria's biggest cable car. At the top there is a sun-drenched plateau with a superb panorama, winter walks with breathtaking views, pistes for all the family and the Funslope for all ages and skill levels. Fun and variety are guaranteed off the piste here, too: the classic option is to enjoy regional specialities at Café-Bistro Freiraum in the Ahornbahn mountain station with a magnificent view of the 3,000-metre mountains. The Igloo Village White Lounge is the perfect spot to chill out during the day. In the evening it is transformed into an Igloo Hotel with comfortable suites amid the snow for a night under a sparkling canopy of stars; a truly unforgettable holiday experience in Mayrhofen. Interested in finding out more? If so, be sure to mark the following dates in your calendar in red: Horbergbahn is usually first cable car to open, followed by Ahornbahn and the new Penkenbahn. 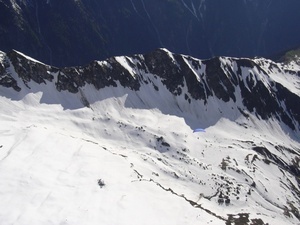 The Mayrhofen ski resort introduces yet another attraction for the 2015/2016 winter season: the Funslope Ahorn. Divided into three distinct areas, the Funslope provides fun and challenges for winter sports enthusiasts of all ages. The all-new Funslope provides the ultimate experience for every kind of winter sports enthusiast, from skier to snowboarder and from beginner to pro. Wave runs, high fives, low fives, bowls, and steep turns are waiting for you!